Pyramid employee swipe cards numbered 26-50 for Pyramid TimeTra TTEZ, TTEZEK, PSDLAUBKK, TTPRO, TTMOBILE, FASTTIME 8000, FASTIME 9000 Time Clock Systems. Standard magnetic swipe card. Includes writable area for employee name. Requires 25-Employee Upgrade Software Package if purchased for TTEZ Time Clock System. 25/pk. Swipe card badges for employees with numbers 26 through 50. 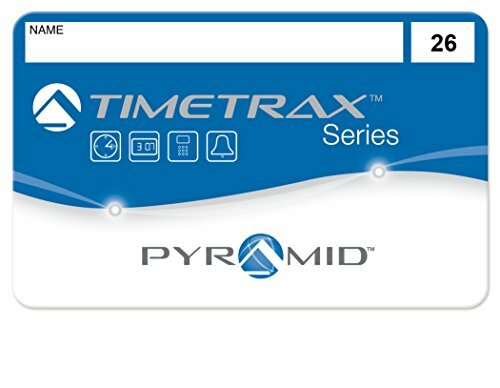 Designed to work with the Pyramid TimeTrax Pro, TimeTrax EZ, TimeTrax Mobile and the older Fast Time 8000, and 9000 software based Time and Attendance terminals.